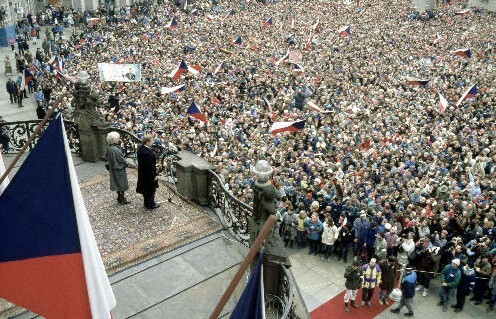 The communist government came to an end in Czechoslovakia a few months ago and everybody got a chance to start a business. This opportunity was used by Mr. Jaroslav Pokorny who set up a production (28.09.1992) in the cellar of his family house. The firm produced injecting moulds for plastics together with plastic components. His wife Marie helped him as much as she could heart and soul despite doing all the household chores and looking after their three boys. Nothing happens by chance. 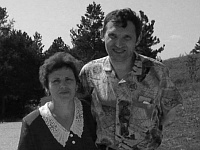 Even before The Velvet Revolution in 1989 my father – MR. Jaroslav Pokorny was deeply interested in technology. Everywhere he worked he used his initiative to come up with many different sorts of improvements. His solutions to technical problems were very often unconventional but in many cases proved to be very good and efficient. He was also very interested in the German language which after the change of the regime proved to be an excellent foresight. Thanks to this knowledge he was able to win foreign contracts from Western Europe. The family cellar workshop slowly changed and started to expand. The first three machines (a milling cutter, a turning lathe and a drill) which occupied our cellar a long time before founding of the firm, were gradually joined by seven others. Among them there were four simple injecting moulding presses invented and made by my father. Almost all the rooms of our cellar, including the utility room, turned into a factory. Nearly all the room of the second floor of our family house were used as storage for the raw materials. 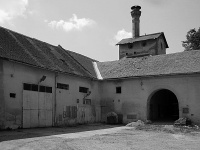 The firm Pokorny started to employ its few first workers. Among them were MR. Teply who is at the present time the foreman of the tool shop and MR. Barta who is the foreman of the moulding shop. The firm quickly found its place in the domestic and foreign market. The companies Helios (Germany), Technische Alternative (Austria) a IBC (the Czech Republic) were counted amongst the most important customers from the first years of our firm's existence. At the beginning production was also started of the first hose pipe connectors to couple pipes together which were patented by my father. 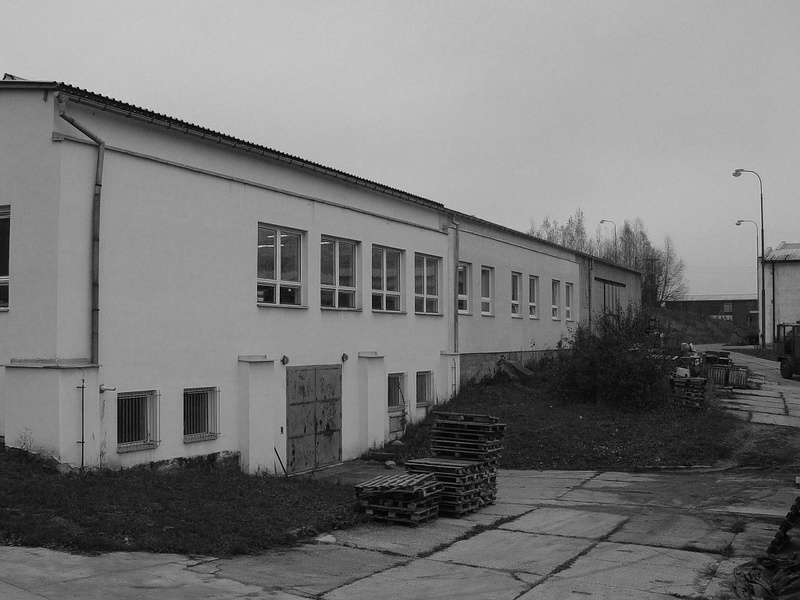 With the expansion of the firm the family house was filled to its capacity and it was necessary to find larger space for relocating our production. 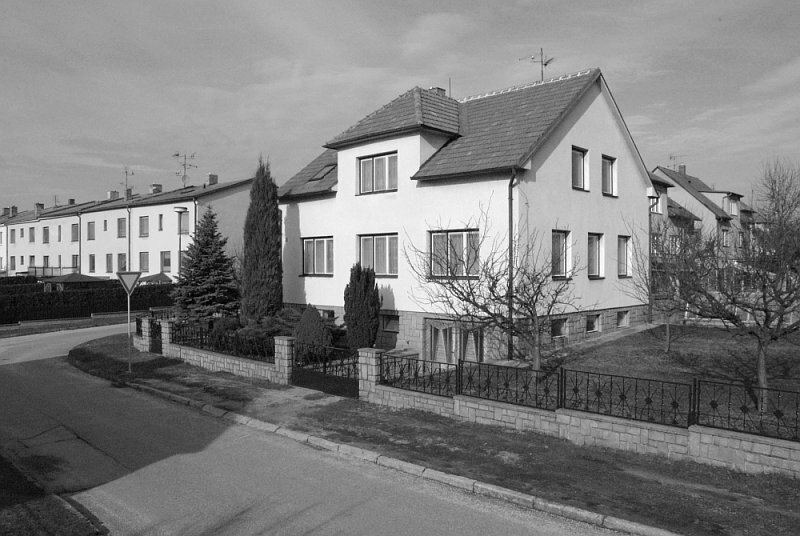 MR. Pokorny bought an old building which was situated very close to the centre of Dacice. It used to be a distillery. Quick and essential reconstruction of the interior was carried out. 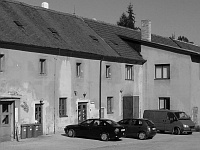 In 1996 the tool shop and firm administration were transferred there. At the same time smaller premises on the outskirt of the town were rented and the moulding shop was moved there. Apart from these, the first CNC cutting centre was put into operation and older but bigger injecting moulding presses were purchased. 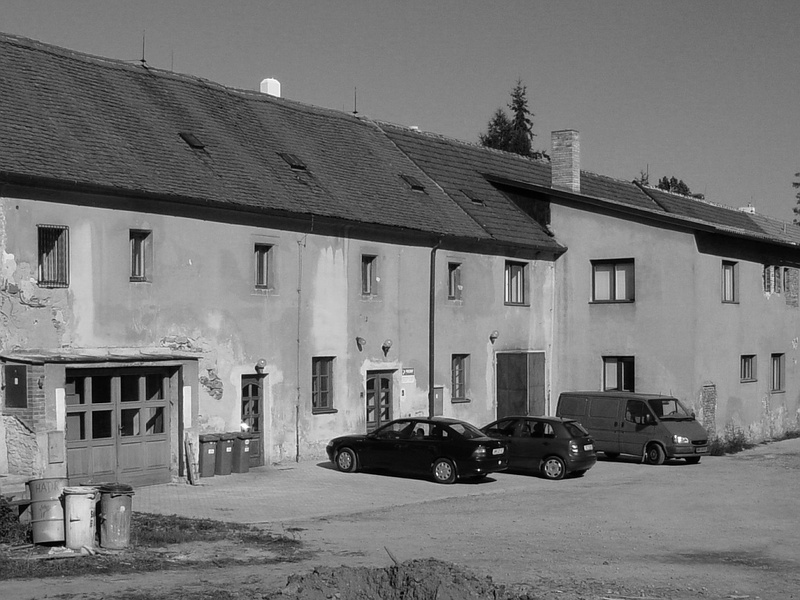 In 1995 The firm Pokorny had 15 employees. In the autumn of 1996 my father began to develop boxes for storing tools. It was a system where his imaginative and practical approach to technology were applied. MR. Ing. 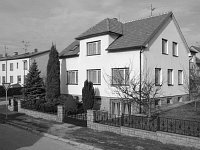 Jiri Jakubec who had worked in our firm for several years as a designer, significantly participated in the development of this system. The boxes were first introduced as a new kind of product at an engineering fair in Brno in the autumn 1997. 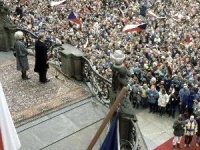 In June 1998 they won „Vynikající design“ („Superb Design“) prize from „Design Centrum České republiky“ („Design Centre of the Czech Republic“):http:­//www.designcen­trum.cz. In June 1998 the firm Pokorny purchased older premises of 1300m2 and the moulding shop, including storage of materials, were transferred here. Even here a renovation was necessary. The building used to be a welding school, a nuclear shelter and storage. The important thing was that all the departments of our production were under the same roof. By 1998 our firm had 29 members of staff. In our production we initiated progressive and innovative technologies on a larger scale. Our range of machinery was gradually enriched with NC die sinker, CNC wire cutting machine, CNC laser welding machine, CNC 3D measuring device, CNC grinding machine and others. With the introduction of the new technologies the qualifications of our employees together with widened experiences increased considerably. It was at this time that I started to make a contribution to the growth and development of our firm. I added up to date technology in the form of CAD and CAM systems which were introduced for design and production. We also started to exhibit at international trade fairs aiming to obtain new customers. New customers included Securit Saint Gobain, a well known European automobile glass manufacturer. My father bought yet more buildings surrounding the former distillery. Until this time they were used as a car garage, a store for agricultural chemicals and a club/bar. The buildings were in a poor state. There were rotten ceilings, crumbling plaster, dampness and mould. The reconstruction of the interior started but in comparism with the reconstruction of the first building, which had been used for several years by now, this one was more extensive and thorough. By the year 2007 the interior of shabby buildings in the town centre was transformed into a sylish place of business which represented our expansive and successful company. The result simply surpassed my expectations. The firm's management moved into the newly renovated rooms. The tool shop and the storage facility were extended. The rest of the buildings are used as recreational rooms. In 2003 we started to work together with an Austrian firm Intensa. Thanks to this cooperation we were able in January 2007, together with the firm Intensa and German firm Gaudlitz, to found another company Gaudlitz Precision, s.r.o., in Dacice. This company concentrates on the production of plastic parts for the car industry and the medical profession in Central and Eastern Europe. The building of the moulding shop became too small and so we started to build new premises of 2600m2 directly next to the present building. The firm Pokorny grew from a cellar workshop into a highly successful business with an extensive and high-tech product range employing 70 skilled staff. We have a self-sufficient design office, tool and moulding shop. We produce injecting moulds for the car industry, electrical engineering, medical producers and general. You can find our partners in many European countries. We aspire to make products which speak highly for themselves. 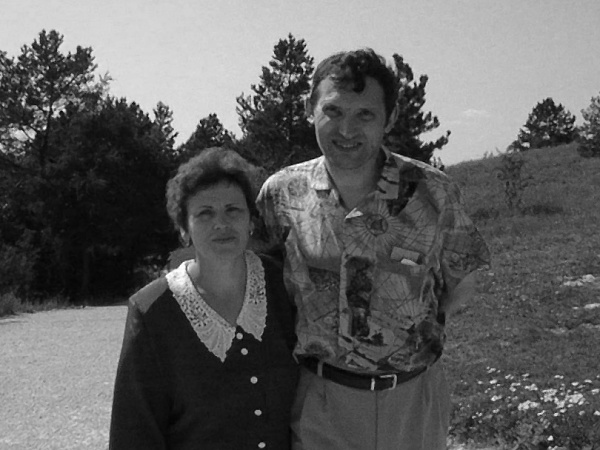 The greatest credit for the good state of our firm goes to my father MR. Jaroslav Pokorny. He is the founder of the firm and the one who gives it his heart and his strength. His foresight has enabled the company to grow and expand into different innovative areas of plastics production which has resulted in the highly successful company we have today.